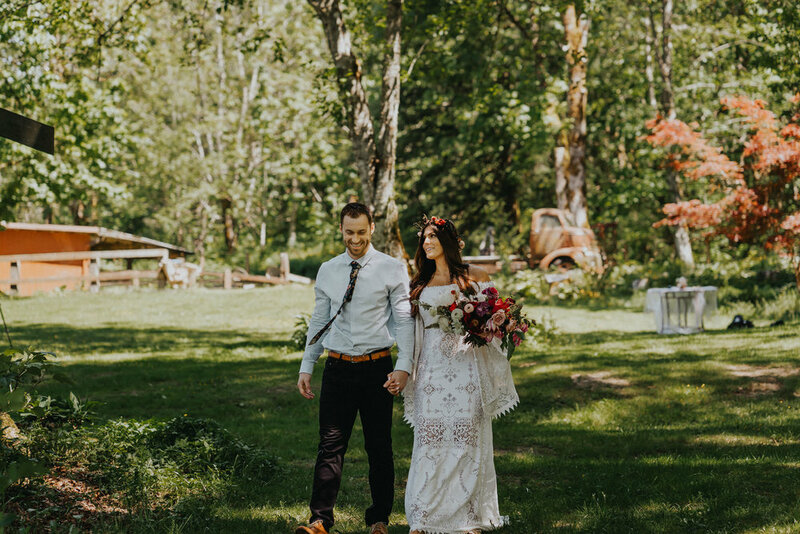 Kristina & Nate came all the way from Missouri to tie the knot and celebrate their forever lifes' adventures in beautiful Oregon. Their planning and timing could not have been planned anymore perfectly. Spring had just begun, the sun warmed everything across the landscape and the snow run-off gave full life to the waterfalls around the area. These two beautiful souls met at the gym getting their swole on. With the common interests in fitness, traveling and their devotion to their religion, they soon found out that they were inseparable. Through the years they enjoyed traveling the country and discovering the outdoors. 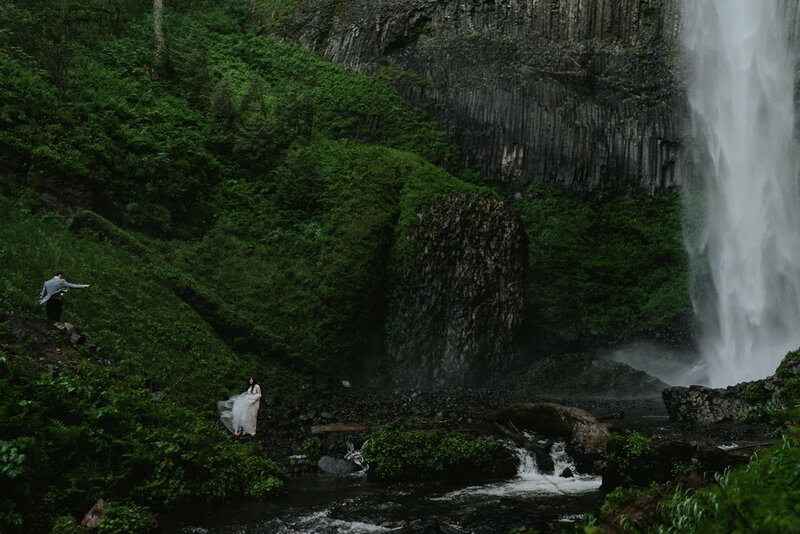 So it made absolute sense that I would accept the opportunity to work with them on their Oregon elopement. To beat the foot traffic, we met bright and early on Friday at the Latourell Falls trailhead (about half an hour from of Portland) and walked the short quarter-mile to the falls. We braved the morning chill and wet rocks and stood under the powerful force of mists around us. 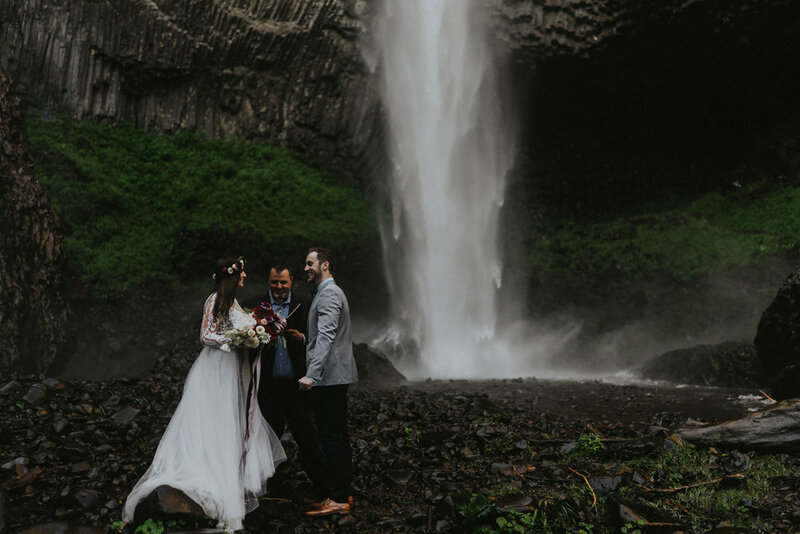 For ten minutes I kept wiping my lenses dry and the officiant ministered the marriage of Kristina & Nate. 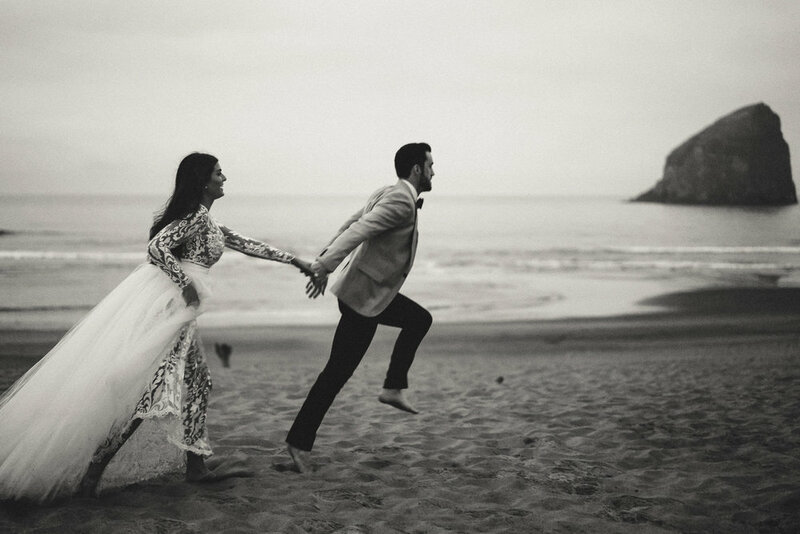 Kristina & Nate stands with the minister as sprays of mists rushes towards and around them. From Latourell Falls, weD made a short trek to a recreational lake where the sun had just peaked over and reached into the Columbia Gorge. 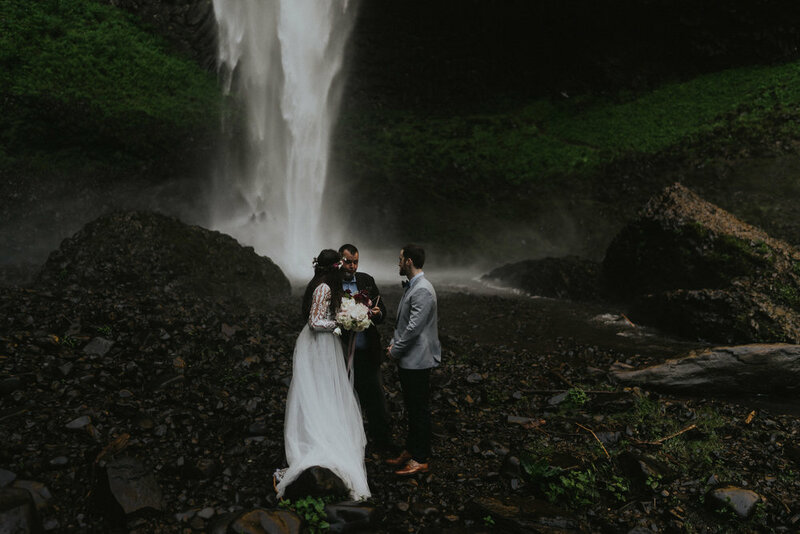 Here, in the freezing waters, the newlyweds got baptized. 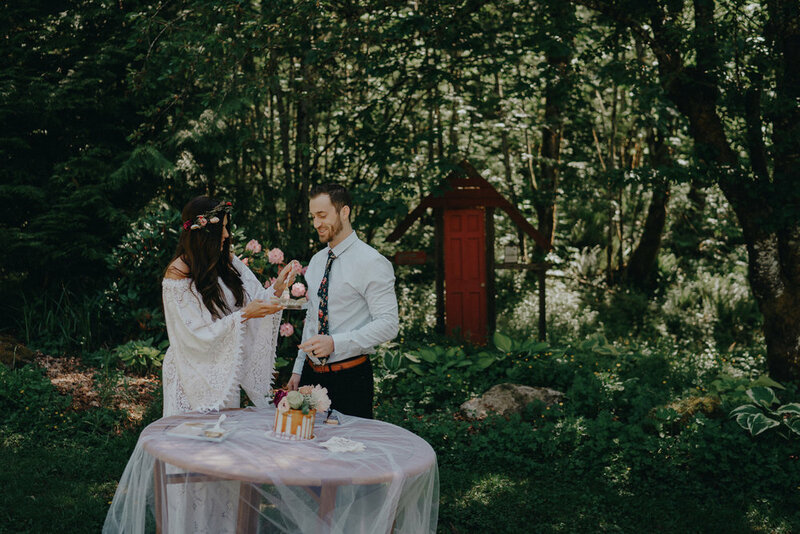 After drying up, we met at their Air BnB (Quinn Mountain Retreat) to celebrate a with a delicious cake and a little dancing. 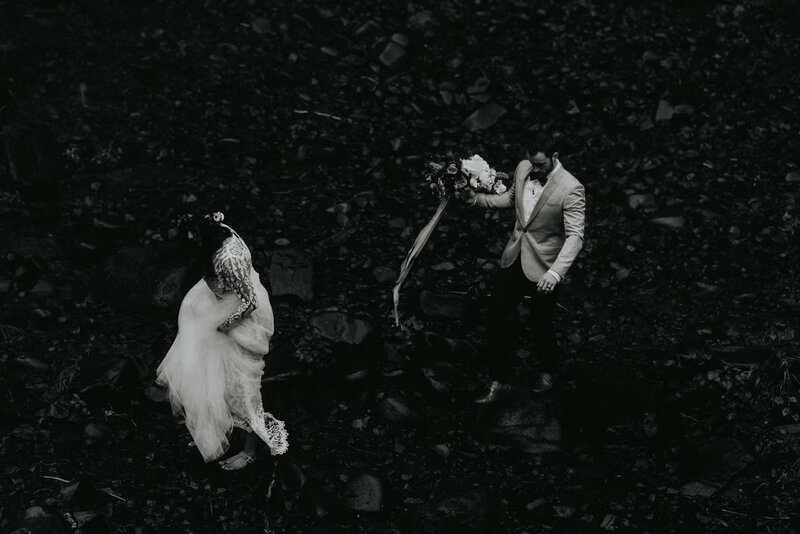 One of the reasons why Kristina & Nate decided to elope was because they hate being the center of attention, so for that, I thank them both for the privilege and opportunity to document and witness such a special moment in the lives. This is the beginning of forever, Kristina & Nate!!! Please see the special session at the end of the gallery of images.